There are at least 2 bands known as "Delilah", and a singer known as "Delilah": - 1 - Delilah is an urban singer-songwriter from London, UK. The Go Songfacts reports that she was born Paloma Ayana, but since Paloma Faith was already using her first name, she decided to borrow her moniker from her great-grandmother, Delilah. She is featured in the song 'Time' by UK electronic duo Chase & Status. The song peaked at #21 in the Official UK Singles Chart. 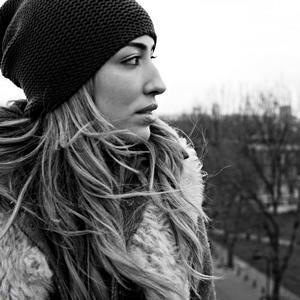 Delilah is an urban singer-songwriter from London, UK. The Go Songfacts reports that she was born Paloma Ayana, but since Paloma Faith was already using her first name, she decided to borrow her moniker from her great-grandmother, Delilah. She is featured in the song 'Time' by UK electronic duo Chase & Status. The song peaked at #21 in the Official UK Singles Chart. The first single to be released on the upcoming album is 'Go'. dElilah is an experimental 3-piece noise-rock band from Linz, Austria. They were founded in spring 2005.
dElilah recorded their selftitled debut ep in summer 2006 which was released by the linz-based weirdo-label Zach Records. From that time on dElilah wanted to bring their music out to the people and played several shows in Austria, Germany, France and Czech Republic.